Ruby Fortune New Zealand Casino Review - Exclusive Bonus Codes ! Ruby Fortune Casino offers a rich gaming experience in a modern and player-friendly environment. With more than 500 Microgaming titles, the casino also stands out with a strong loyalty program, especially for VIP players who can expect many perks such as quicker cashouts, personal casino hosts, and much more. 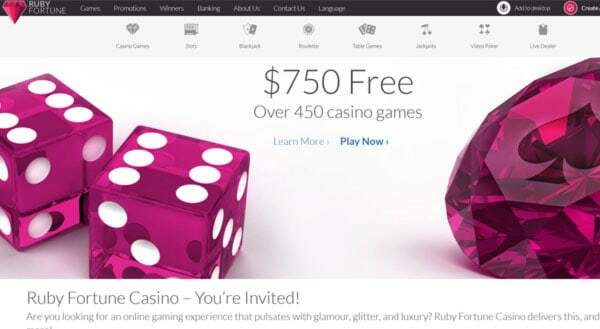 At the moment RubyFortune doesn’t offer any free spins upon signup to New Zealand players. Royal Vegas offer up to $750 in casino bonuses on your first 3 deposits. Register your account here or click the button below. Make a deposit of $20 or more. Your 100% Casino Bonus will be credited instantly. The match bonus has to be wagered 50 times the bonus amount. The maximum bet when playing with an active casino bonus 30% of your initial bonus amount, meaning if you’ve received a $250 bonus, then the maximum allowed bet is $75 per spin, until the wagering requirements have been cleared. Owned by the Palace Group Casinos, Ruby Fortune was established back in 2003, making them one of the more experienced and established casinos in the business. Accepting players from a number of places around the globe, the site is also open to players from New Zealand looking to gamble online. Ruby Fortune Casino is licensed by the Malta Gambling Authority (MGA) and their games are regularly checked for fairness and randomness by eCogra, the leading independent auditor in the gaming industry. The casino offers exclusively games crafted by Microgaming, which makes their offer of pokies somewhat limited. On the other hand, this is one of the places where all new Microgaming titles are added as soon as they’re released, so fans of this particular provider will definitely enjoy their time at Ruby Fortune. Although this may seem somewhat lacking when compared to other casinos, Kiwi players will have a chance to enjoy more than 500 games, including many popular slot machines such as Mega Moolah, Immortal Romance, Thunderstruck II, and Avalon. In addition to several hundred pokies, there is also a good range of video poker machines and electronic table games, such as roulette, blackjack, baccarat, various casino poker games, etc. Of course, live games are offered across different stakes and with different rules for blackjack and roulette tables, so players have plenty to choose from. Ruby Fortune Casino offers a good loyalty program for all the players. Players generate Club Points while playing their favorite games and these points can be exchanged for cash. Reaching a certain amount of points in a month helps you climb Loyalty Tiers, with higher tiers offering points boosters, better bonuses, exclusive promotions, etc. 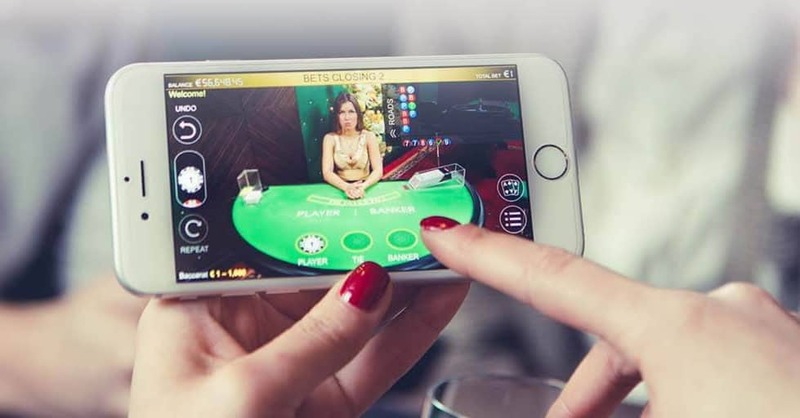 Those players who reach the Platinum level will become casino VIPs, which opens doors to even more perks, such as quicker withdrawal processing, exclusive VIP promotions, a personal account manager, and more. Ruby Fortune Casino takes special pride in their mobile casino, ensuring high-quality and unchanged experience for those choosing to play on the go instead of using their desktop computers. The mobile casino is available straight from the browser, making it easy to get started. However, for those wanting more, there are also standalone apps available for download for iOS and Android devices alike. When it comes to deposits and withdrawals, Ruby Fortune offers a wide array of options, ensuring all players have access to their preferred methods. Banking can also be done in NZD, which makes things even more convenient for New Zealand Players. Support is available 24/7 at Ruby Fortune Casino. Support agents can be reached via the live chat facility, phone, and one of several email address depending on the type of your query. In general, players can expect swift and helpful responses from the support department regardless of the method used. Licensed and regulated by Malta Gaming Authority, number: MGA/B2C/167/2008 (issued on 1 August 2018). Digimedia Ltd (C45651) is a Maltese registered company registered at Villa Seminia, 8, Sir Temi Zammit Avenue, Ta’XBiex XBX1011. Is Online Gambling Legal in New Zealand? Casinoreviews.net.nz provide honest and thourough reviews of online casinos that accept NZ players. We've got more than a decade of experience in the industry as we are gamblers ourselves and this website is a summary of all our accumulated information. All offers on this website are only valid for players over 18 years old. We support responsible gambling. Copyright © Casinoreviews.net.nz. All rights reserved.